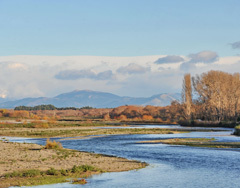 New Zealanders enjoy the outdoors lifestyle and there is nowhere in New Zealand better than North Canterbury for this! 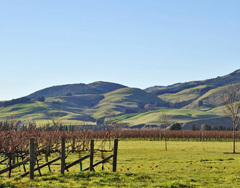 Accordingly the desire for an improved quality of life has driven the strong residential growth in a semi-rural environment particularly in the Waimakariri District which is fast becoming a satellite to Christchurch, which in itself, presents growth opportunities for service industries in North Canterbury. 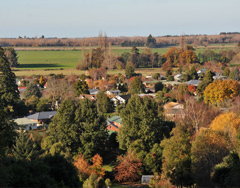 North Canterbury has a great mixture of rural and urban links which allows for a great balance for its residents. During the summer months, there are the many kilometres of coastline and beaches and dedicated swimming holes which are dug each year in the local rivers for families to enjoy and the local A & P Shows run in various locations around North Canterbury. In the winter, the fun really begins, the thermal hot-pools in Hanmer are no more than 1.5 hours’ drive at the furthest point, there are ski fields within the same distance both north and south of the district. The kids are all playing their sports, rugby, soccer, netball, hockey and matches are played on weekends all around the district. Choosing a school for your children is a big responsibility for all parents. In North Canterbury there are a variety of options available, depending upon where you live. 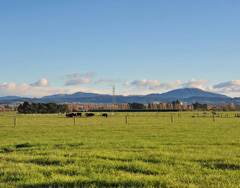 There are a variety of homes available in North Canterbury, or you can buy a bare block of land and start from scratch. The choice really is yours! 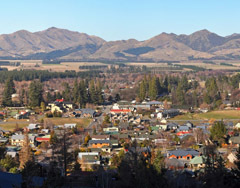 In the urban areas, there are a variety of house styles and types available to buy and rent in North Canterbury, one bedroomed apartments to 5-6 bedroom homes. There are major subdivisions under construction all around the region and even a whole new town being built at Pegasus, in Waimakariri. 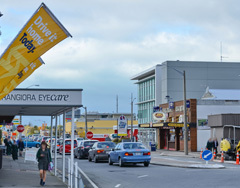 Many people who move to North Canterbury decide to buy a lifestyle block. These are generally 6-10 acre blocks of land with an existing home. It must be noted that even the small lifestyle blocks are a huge responsibility if you are going to keep animals and this must be accounted for when making the final decision. There are also much larger farmsteads available in the North Canterbury region, which are predominantly sheep, beef or dairy stations. Stretching from the Southern Alps to the Pacific Ocean, with stunning snow-capped Mt Hutt as its backdrop and bordered by impressive braided rivers and crystal clear lakes, Mid-Canterbury is one of the great secrets of New Zealand, with an inspiring range of both energetic and relaxing activities, complemented by genuine New Zealand heartland hospitality. This rich agricultural region encompasses Ashburton, Methven/Mt Hutt, Mt Somers High Country and Rakaia areas - each with their own appeal. Mid Canterbury is accessible with Christchurch International Airport only an hour’s drive. 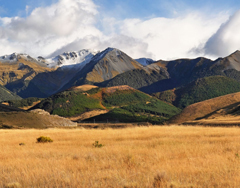 Mid Canterbury is one of the most diverse and stunning regions in New Zealand. Locals awake to be captivated by the breath taking scenery, and array of activities to see and do. You can enjoy skiing or snowboarding, hiking or mountain biking, white-water rafting, skydiving, jet boating, horse riding, fishing, hot air balloon or fixed wing scenic flights, 4WD Adventures, country golf courses, gardens of blazing blooms, displays of arts and aviation and transport history. When you get the chance take advantage of the district's two highways - State Highway One and the Inland Scenic Route 72 - travel down one way and back the other, experiencing the whole district. Heritage trails, ecotourism guides, craft markets, art galleries, farm tours and a calendar of events will fill your time with memorable New Zealand experiences. You’ll enjoy great dining options at many cafes & restaurants throughout the district. From the classic kiwi takeaway, or NZ country pub meal, to delicious first-class fare Mid Canterbury is an exciting gourmet region. Locals enjoy dishes of beef, lamb, venison and salmon made with fresh vegetables harvested from within the region, complemented by award- winning New Zealand wines and craft beers. Be ready for taste sensations, and to experience the Mid Canterbury delights! Local produce is proudly sold at the Farmer's Markets that alternate weekly between Ashburton and Methven, where you will find meats, honey, salami, breads, fruit, vegetables, sauces and many other examples of the local produce. Central Canterbury reaps the benefit of hosting Christchurch city, the South Islands largest city and the country's third-most populous urban area and the official oldest established city. The Avon River flows through the centre of the city with its banks forming an urban park. The region lies one third of the way down the South Island's east coast, just north of Banks Peninsula which itself, lies within the formal limits of Christchurch. A rich history can be seen in the exhibits at the Canterbury Museum. Visitor numbers have increased by more than 280,000 in 15 years. Innovative exhibitions and events are attracting diverse audiences, significant artefacts are added to the collection and the curators contribute to internationally recognised research. The natural assets of the Central Canterbury are a drawcard for tourists, as well as permanent residents who appreciate the natural assets that are on their doorstep. Two hours west of Christchurch on SH73 is Arthur’s Pass National Park which nature lovers, hikers and mountain climbers flock, to discover the magnificent flora, fauna and vistas of the Southern Alps. The trans-island crossing from Christchurch to Greymouth over Arthur’s Pass is covered by road and the TranzAlpine train. From Christchurch the road traverses the Canterbury Plains and then escalates rapidly into the Porters and Craigieburn skiing areas before following the Waimakariri and Bealey Rivers and Lakes Pearson and Grasmere to Arthur’s Pass. Southwest of Christchurch (reached by SH73 and SH77) is the Mt Hutt ski resort and Methven. For a high country escape, and some great fishing, locals and visitors head to the picturesque setting of Lake Coleridge, New Zealand's first hydro lake which is famed for fishing. From here you can explore the high country. You'll find everything from skiing, horse treks, farm tours and four-wheel driving to high country garden tours and golf, including the challenge of No. 10 at Terrace Downs High Country Resort. When winter hits, skiers and snow boarders are drawn to the 'Selwyn Six' – 6 ski fields that cater to snow buffs of all abilities. Discover the family-friendly fields of Porters and Mt Cheeseman, off-piste action at Craigieburn, Broken River, and Mount Olympus, and a top-of-the world snow encounter at Temple Basin. As well as world-class skiing and snowboarding, you'll find each of these areas has its own unique culture, making a day on the slopes in Selwyn a truly unique experience. South Canterbury sprawls from the peak of Aoraki Mount Cook to the sandy beaches of Caroline Bay to rolling hill country, sweeping plains, braided rivers and unspoilt coastline. 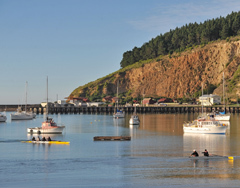 Within a short drive from the region’s main centre Timaru, the townships of Geraldine, Peel Forest, Pleasant Point, Temuka, Fairlie, Lake Tekapo and Waimate offer a variety of South Canterbury lifestyles. 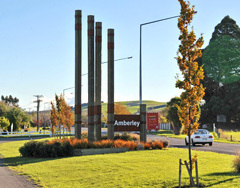 With excellent medical and educational facilities, a vibrant and enterprising business sector, an abundance of sporting and recreational facilities plus a friendly community all come together to make South Canterbury a fantastic place to live, grow and raise a family. One of the highlights of South Canterbury life is the ability to choose to live a rural lifestyle and still live within an hour's drive from of Timaru or any of the region's towns. Fascinating European and Maori heritage is strongly linked to the present day, with almost every township in the district featuring local museums and art galleries. 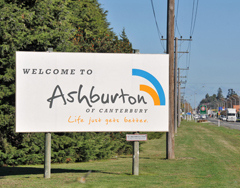 Aoraki Development Business and Tourism supports the economic development of South Cantebury by assisting skilled people to move to the region. South Canterbury is an excellent base for many businesses, with its central location, modern infrastructure and highly skilled labour force. The region’s economy is strongly influenced by its agricultural heritage. Today agriculture in the district is diverse, with dairy farming having a significant impact. 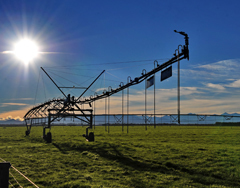 Increasing irrigation offers farmers a greater range of options for production – ranging from intensive dairy farming to vegetable production, cropping, meat and wool. Significant manufacturing operations are located here, including Fonterra’s Clandeboye dairy factory, McCain’s food processing plant, DB Mainland Breweries, NZ Light Leathers, Alliance Group Smithfield meat processing plant and Barker's of Geraldine. The district is centrally located for distribution and the region’s port, PrimePort, provides a busy gateway for exports and imports. The IT literacy in the region is high and broadband is widely available - landline in urban areas and satellite or wireless options for more remote rural locations. New Zealand's leading rural communications provider, specialising in rural broadband, VoiP and mobile solutions, is proudly Timaru-based. For families with children there are pre-school options include early childhood centres, play centres and kindergartens. Private childcare services include in-home services or nanny care. Schooling at the primary level is well catered for, with 12 schools in both Timaru and the surrounding area. There are several secondary schools in the region, including both state and integrated (semi-private) options. Located on the doorstep of all the region’s largest exporters and at the heart of New Zealand’s largest food bowl, the Canterbury Plains, South Canterbury is centrally located and well served by a modern transport infrastructure. 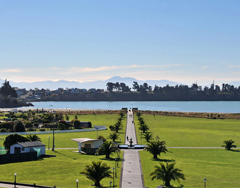 Direct flights from Timaru airport connect the region with Wellington, with links to and from other larger cities. Timaru has a full public bus service and community bus services operate in other areas. School bus services provide transport to rural and urban schools for students who qualify due to distance from their nearest school. South Canterbury roads are of good quality and are regularly maintained by the Timaru, Mackenzie and Waimate District Councils. The region enjoys an efficient roading network with all major roading links sealed. South Canterbury has a stable housing market, with real estate and rental prices comparing very favourably to other areas of New Zealand. Many new residents choose to rent a home when first arriving in the region, with rental prices for a family home ranging from NZD $220 to $400 per week. As a general guideline, current purchase prices for a 3 bedroom permanent material home range from Approximately NZD $200,000-$350,000 bracket to around NZD $450,000 + for a rural lifestyle property of approximately 3-5 hectares (10-15 acres). Well established properties in prime locations (for example with mountain to sea views) can command prices ranging from NZD $650,000 upwards.